Although the public might continue to use the old phrasing, officially Apple has dropped the term "Store" from its worldwide retail locations, visitors to the company's website have noticed. The individual webpages for each shop now simply mention the company and the outlet's official name. 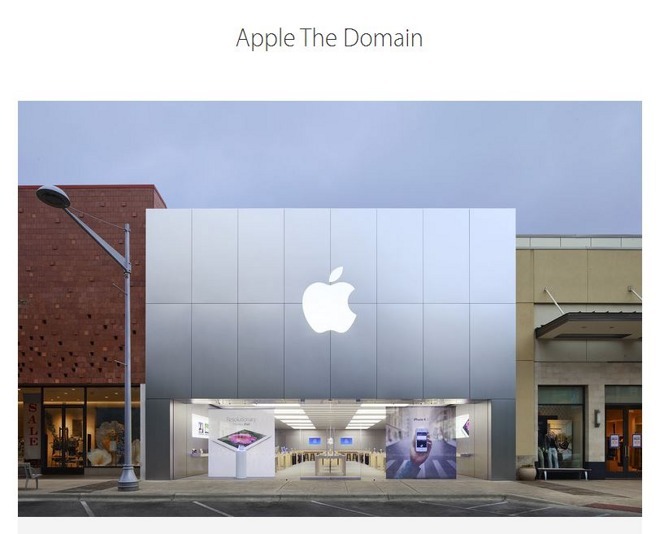 "Apple Store The Domain," for example, is now "Apple The Domain." The global flagship in New York City has been renamed "Apple Fifth Avenue." In a memo reportedly sent to retail staff, obtained by MacRumors, the company said that it is gradually phasing out the word "Store" both online and at the outlets themselves. Although the note mentions plans to start with new locations first, most if not all webpages have already been altered. The change is presumably part of Apple's broader attempt to treat its stores as community spaces, where people can go to hear talks, listen to music, and get advice, help, and training. Some locations, most notably Apple Union Square, already feature spaces set aside for events.